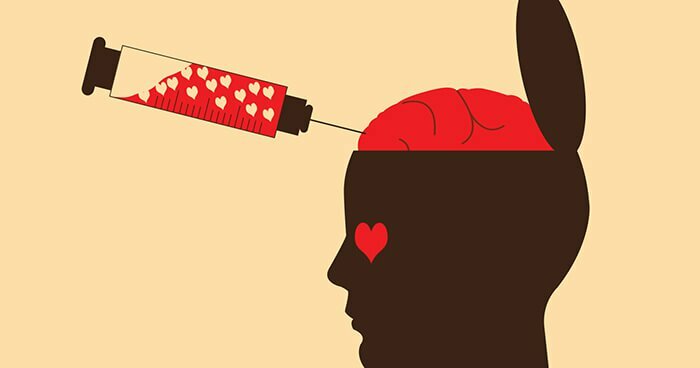 I've looked a little into what love does to the brain (releasing different chemicals, creating an "addiction" to the person we are in love with, making us feel good when we are around/in contact with our romantic interest), but I want to dive a little deeper. Nice. A lot of what Fisher mentions in her Ted Talk is supported by what I covered in my previous rounds, such as that love is an addiction, it gives us a high like cocaine, and no one really knows why we fall in love. So, how do you make sure love doesn't get the best of you? Stop forcing yourself to stop doing dumb things through sheer will. No, instead you should embrace the idea of if-then planning. This planning is used for dieting, exercising, and even quitting smoking. It involves deciding in advance just how you will handle your impulses. For example, deciding that "if I want to call that person I'm obsessed with, then I will stop and ring a good friend instead." This planning system is superb at helping people resist their temptations. (8) Don't feel like you need to resist liking someone, though, of course. Just for fun, here are a couple of sites you can use to look a little more into your love, the kind of people you will probably gravitate towards, and who is "perfect for you". Your inquiry question is very intriguing! I like how you took a different approach by including a TED TALK because they are very informative and I think we overlook it as a great video source for our research rounds. As the saying goes love makes you do crazy things and from reading your research round, its quite interesting to know our brain does become effected and perhaps our judgement as well as other senses become a bit hazy. In future rounds, it might be beneficial to look into different types of love such as the differences and similarities of a mothers love compared to a significant other. Both relationships have a bond and love for each other but are very different such as a hug between a family member gives off a friendly type of love whereas a hug to your boyfriend could be more passionate. Anyways another informatively great research round and here are some links on types of love. This was a very informative round, I feel like I really learned something new! I’ve really enjoyed how you’ve continued the trend of including a survey/questionnaire site to answer the question of who is “perfect for you?” The fact that people who have just been dumped show activity in the same part of the brain as when assessing risk and losses, makes me think slightly that they are thinking of it in the same way as gambling. Weighing out the risks vs the possible rewards. Gambling just like love can be considered an addiction which makes me wonder then if love is quite the same as gambling just that in this case, you aren’t gambling away your money but rather your emotions. Based off of your round it seems like love can make the brain much less functional then it is usually when it’s not in love, it also gives the person a feeling similar to that of having a high which seems curious. It kind of seems that love is a feeling with effects similar to that of one where you’ve got stakes in something or extreme adrenaline sports. Your mind is focused on only one thing, and one thing only everything else is on the back burner, and you have a high from the adrenaline coursing through your veins. All in all, love seems interesting though at the same time negative in some ways. I can’t wait to read more about it in your next round. This inquiry is very interesting! I was fascinated to see how love affects certain chemicals in the brain, especially how people are less anxious and depressed when in love. You mentioned that Fisher said in the Ted Talk that people can be in love with their mates 25 years after marriage. I think this is an interesting point. One of my classmates explained a theory to me that the chemical feeling of being in love with somebody only lasts a year, and the reason many couples stay together longer than that is because they "choose" to be in love with one another. So that point reminded me of that! In terms of your future research, I think old folk tales and wives tales have an odd outlook on love sometimes. As well, I think one of the ways love has evolved is that people are more open-minded now than they were years ago. This, I believe, has led to more research about love, but also, the willingness to talk about what makes a relationship healthy. I was wondering, do you believe there is such a thing as "true love" or "soulmates?" Neat research, it was cool to read an inquiry about love! Nice research round! It was very informative and intriguing! I like how you added various medias to you added to your work. From the information received your TEDTALK, I found it really interesting how you described that romantic love gives the same high as cocaine intakes. It’s fascinating how romantic love is an obsession that possesses you. Another concept that caught my attention is that seeing an attractive face engages in the same part of the brain as morphine does. I remember reading an article describing how babies looked at attractive people’s faces for longer than “unattractive” ones. They suggest that face recognition is hardwired at birth. Beautiful faces represent the stereotypical human face that babies evolved to recognize. Perhaps you may be interested in delving more into this topic. I suggest that you may also want to delve into the different types of love. I know you researched the difference between love and lust already; however, I’d be interested in seeing you differentiate the love between a mother/child, wife/husband, etc. I have left some links below.